HTC will launch the new HTC Touch Cruise next month, if reports on the web are accurate. The GPS-enabled HTC Touch Cruise is a touch-controlled PDA phone running Microsoft's Windows Mobile 6, Taiwanese website DigiTimes reported. Originally dubbed the HTC Polaris, the HTC Touch Cruise is powered by a Qualcomm MSM 7200 400MHz processor. 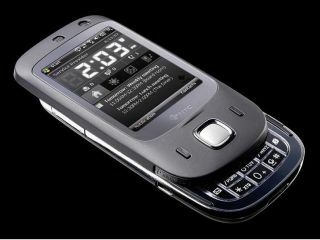 There's also a 2.8-inch QVGA screen, a 3-megapixel camera, HTC's TouchFLO technology and the 3G/HSUPA (high speed upload packet access) standard. Additional specs will include Bluetooth, 128MB RAM, 256MB of ROM and 802.11b or g Wi-Fi plus an additional front camera for video calling, The Unwired reported. The HTC Touch line-up is to be extended with two new 3.5G smartphones and one EDGE-enabled model, according to the report. Earlier this month, HTC launched the new HTC Touch Dual smartphone, due to hit shops next week. HTC wouldn't comment on these rumours when asked.